Ben has a beautiful shaggy sheep dog called Florence, who is his best friend, and goes most places with him. When his parents decide to have a long weekend away in the country, Florence goes with them to stay at the guesthouse. Together they discover a pig farm still using the old methods of sow stalls and farrowing crates, which means that the pigs are heavily confined. Can Ben and Florence help to liberate the pigs and educate the farmer regarding more humane pig farming practices? 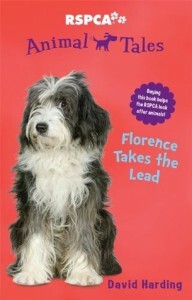 Florence Takes the Lead is part of the RSPCA Animal Tales series, which promote the humane welfare of animals. These books are suitable for lower and middle primary school students, and will be particularly appealing for animal lovers. This was a reasonably simple adventure story with an important message about animal welfare, and the great work the RSPCA do. 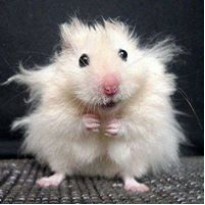 While the story is fictional, the adventure is based on animal welfare situations that unfortunately do happen. However, these books are a fun way for younger children to become aware of the various issues facing animals and those that advocate for them. After the story ends, there is a fact file, first providing some information about the RSPCA, and then some information about pig farming in Australia. And there are more books in this series just waiting to be explored!